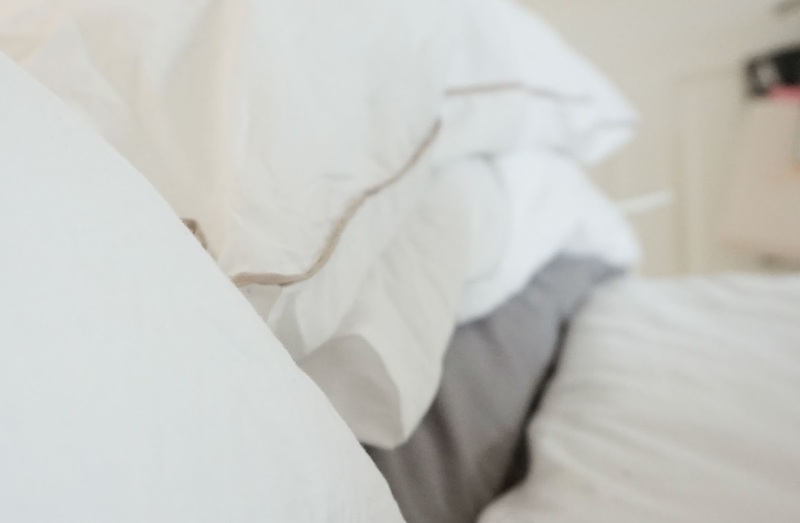 Spring Edit | How To Make Your Bedroom Ready For Spring | H A Y L V O G E L.
We're already in the month of March and spring is on it's way.. evenings are brighter, the sky is bluer and our summer loving is fast approaching. I don't know about you, but I am definitely in need of some sunshine and a fabulous summer. Plans are already starting to be discussed and we're getting ready for a 2016 to remember. What have you got planned? Are you going away anywhere nice? Aside from the new bikinis, bum bags and gladiator sandals there's some other bits that you need to add to your spring list - interiors. There's nothing like getting your home ready for the new season, packing away the winter snugs and replacing them with florals. 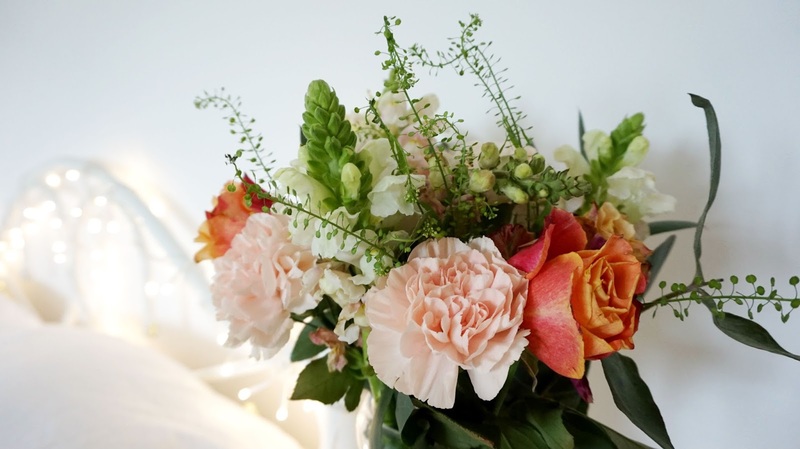 I've turned my bedroom into a little spring paradise, and I wanted to share a few little tips to easily changing your scene in next to nothing time. Fresh Flowers. This is the easiest way to completely freshen up your room giving it a much brighter feel. They smell wonderful, look beautiful and add a touch of bliss to any dull winter room. Just pop them into a nice vase and bobs your uncle. They are essential for me, you know how much I love my flowers! Fresh Bed Sheets. Having a fresh look introducing the whites, greys, pinks and a splash of gold is a perfect start to transforming any room. Simply changing your bed covers can really make a huge difference to your whole room, and it's very quick and easy! Adding some decorative cushions to the mix will never go a miss, and will complete the look perfectly. 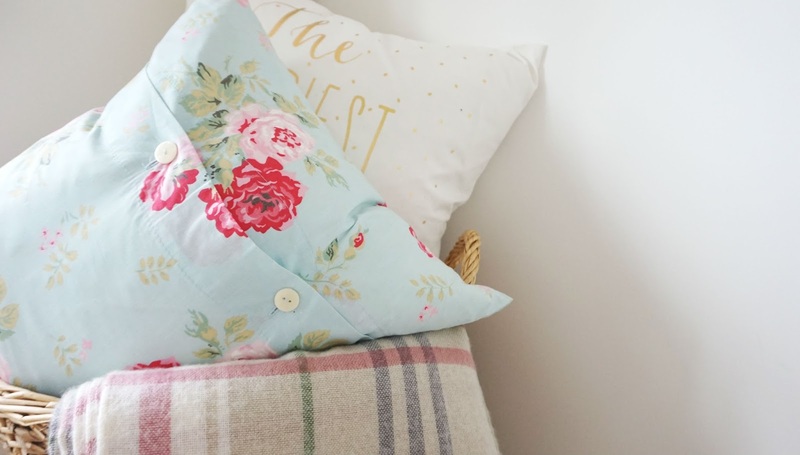 Pretty floral pillows and white bedding - perfect spring look. Fairy Lights. I have my fairy lights for all year round because I love them and my fairy light obsession is very real. They always look pretty and they're perfect for a relaxed cosy vibe, which is always nice to have in your bedroom. I picked these up quite a few years ago from ikea! Little Touches Here & There. No room is complete without your own little touches here and there. It's what makes a room a home and is individual to everyone. 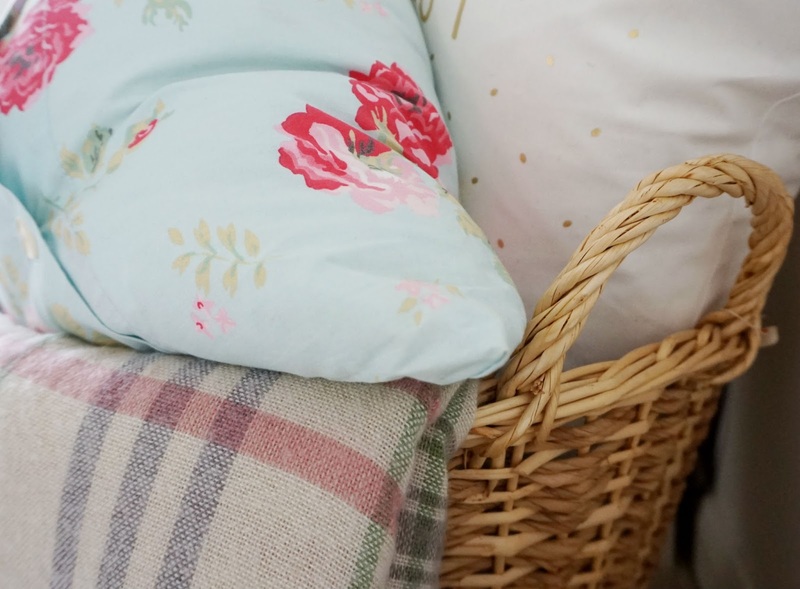 Wicker baskets make great storage, and I love to use mine to store my cushions in when I take them off my bed at night. I keep a few of my extra blankets in there too and it's a pretty little addition to my room. I love it! 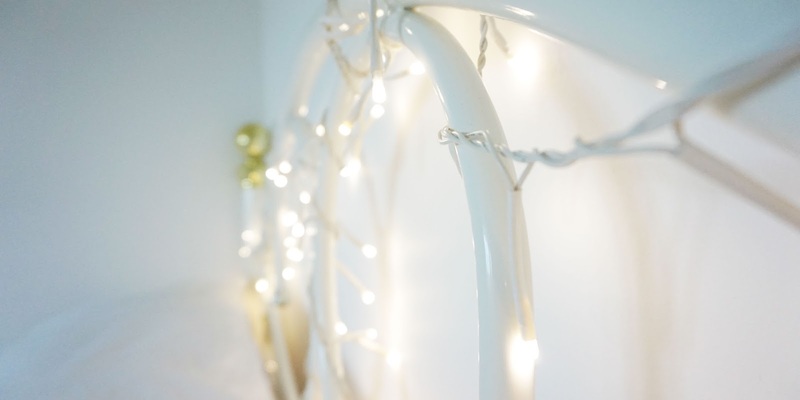 I hope you're going away feeling inspired to 'springify' your bedroom/home into a floral fairy light paradise. Little easy changes that can make you feel fresh and cosy. 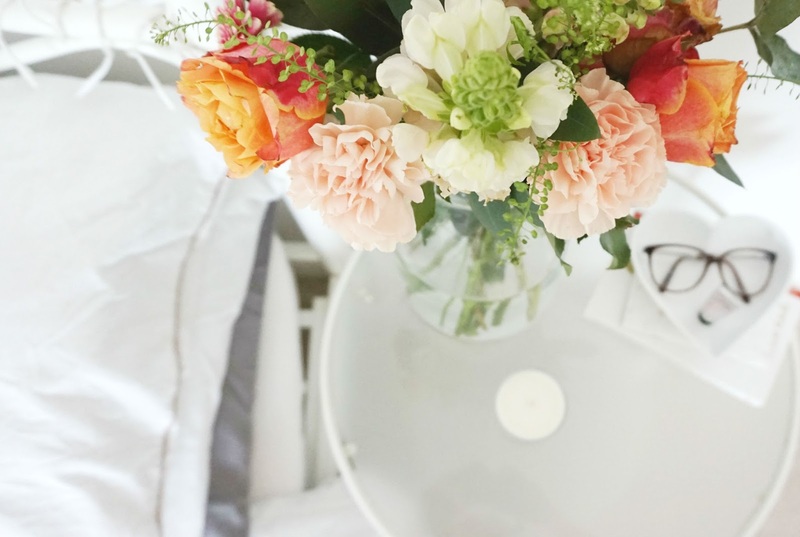 Create your very own spring bedroom.. I really want to make some big changes for spring this year, so these tips will really come in handy! 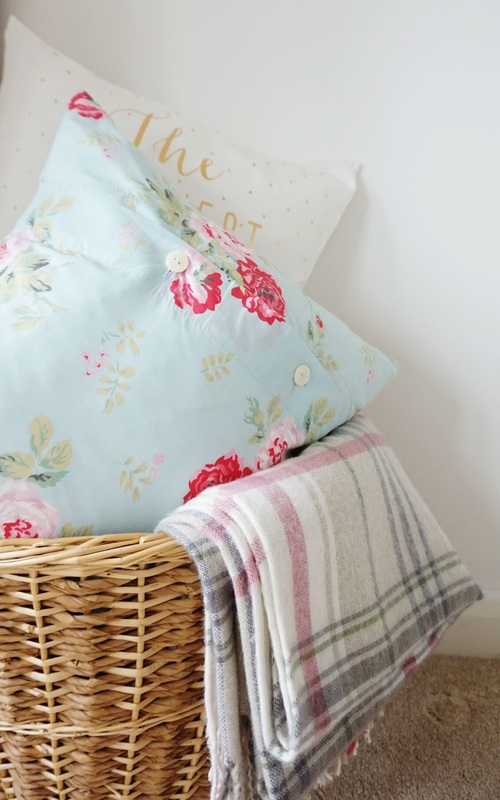 I love how homely all your cushions and blankets look in that basket, so very 'country cottage'. Beautiful! Such gorgeous photos! I can't wait for summer either, it's been dark and cold for far too long! 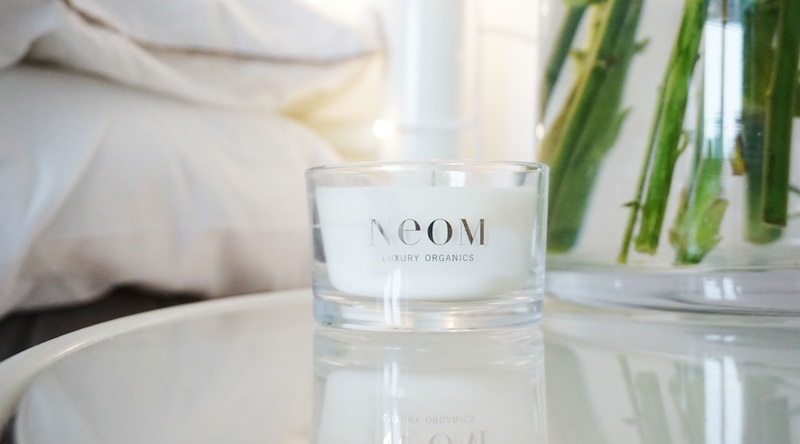 I haven't tried Neom candles but I've heard so many good things about them, think I need to buy one. 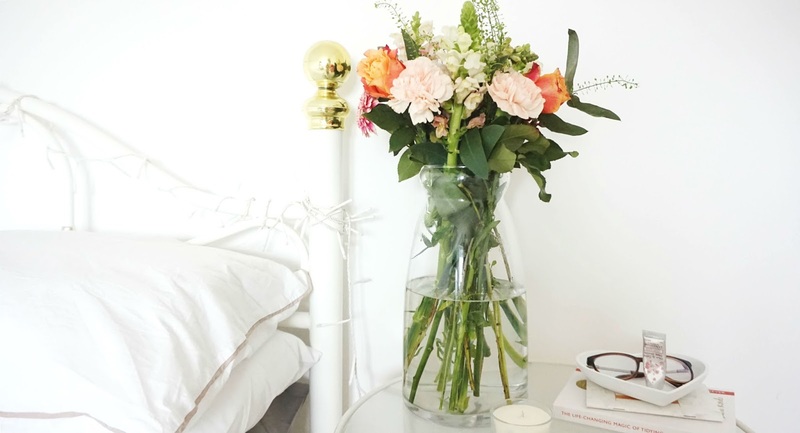 Love how bright, airy and fresh your bedroom looks! Definitely you created a relaxing atmosphere. Your photos are beautiful!! And those flowers are gorgeous! Beautiful, bright photos! I agree, it's all in the little touches that encompass and present who you are. My room is my little haven and I love keeping it bright and relaxing like a spa. I love these tips :D those flowers are soooo pretty. Even though I'm heading into winter here, this makes me want to springify my room! And your blog photography is gorgeous!! This post is so amazing !! I love added little items to make my room ready for Spring - I definitely agree that flowers makes such a massive difference! I've actually make a few DIY items for spring and have a post on it if you fancy checking it out! I love how bright your pictures are too girly ! I'm not sure how I came across your blog but wow I am glad I did. What a great post. I'm actually in the process of changing my room now. Great tips.